We’re heading into harvest season and soon friends and family will be visiting, wanting to cozy up and celebrate the holiday season. 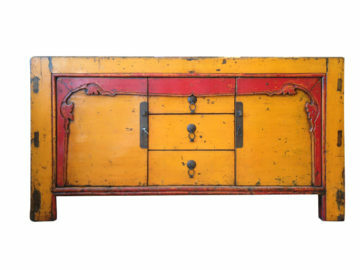 Now is a great time to spruce up your home with a buffet, cabinet, or area rug and SAVE 20%! 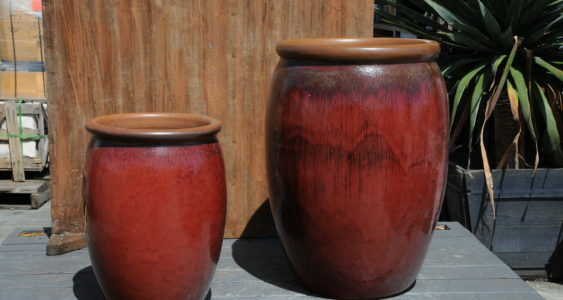 Expand your living space for year-round enjoyment by adding colorful pottery to your patios and gardens. 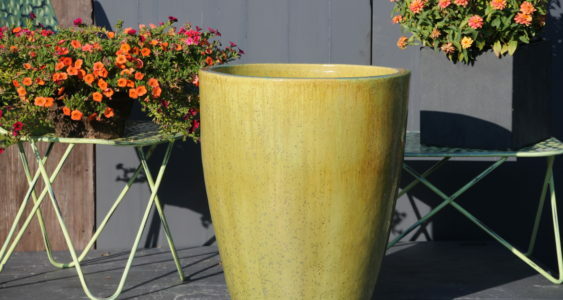 Spring will come earlier and fall will last longer with insulated plantings in frost-proof beautiful pottery. 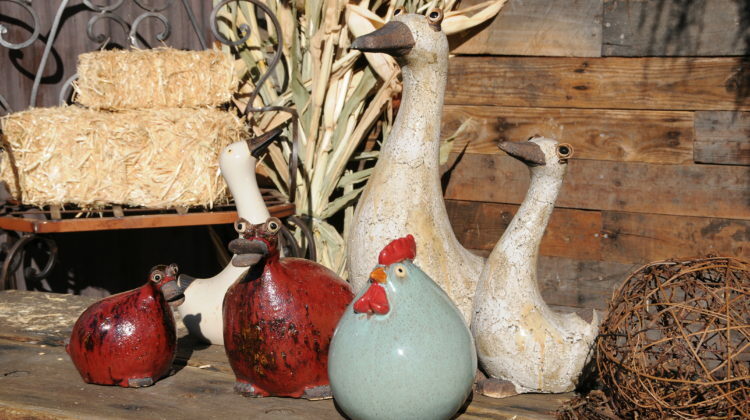 Using the best quality pottery will save you money over the long run as you’ll probably never have to replace it. 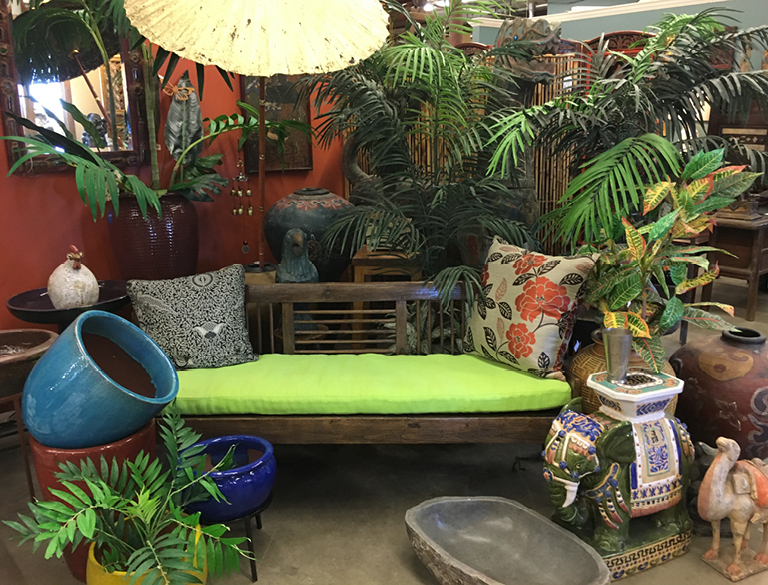 Add an enchanting sitting space in an under-developed area (most everyone as one) of your back yard for quiet reflection or romantic interludes. 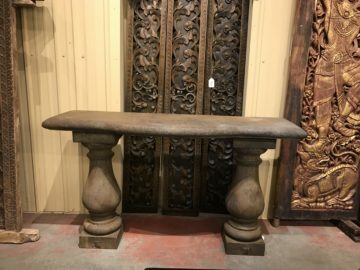 An outdoor teakwood or stone bench is a good start. Live fully with joy. You’re in Colorado! With the spring weather here it’s time to think about our gardens! 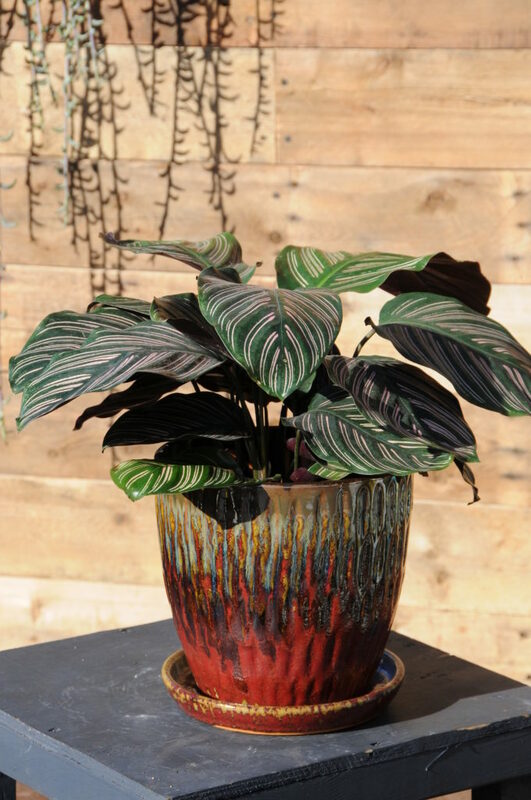 And what better way to give your garden new life than getting some new, unique pottery? 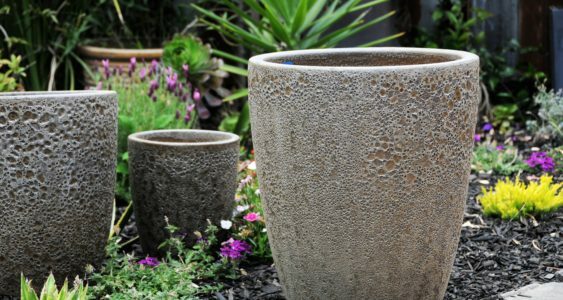 Our pots are frostproof and made out of a dense material that makes them non-porous and freeze resistant. 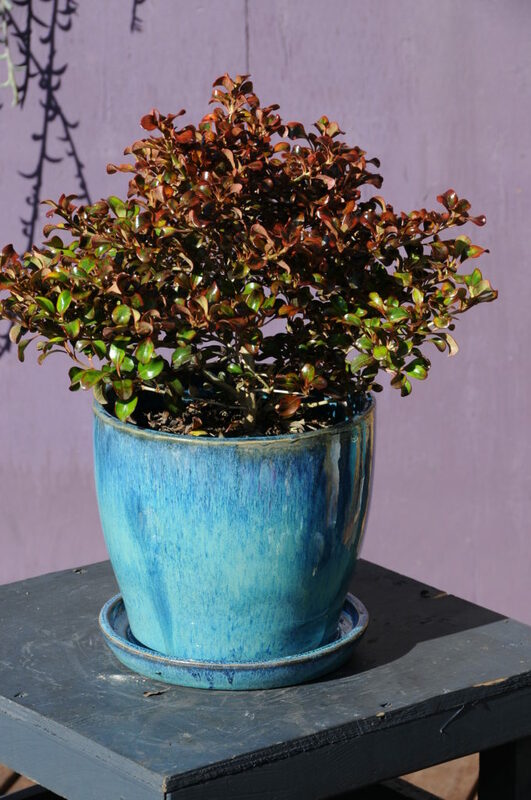 If they have proper drainage, they can be left outside year-round with no damage. 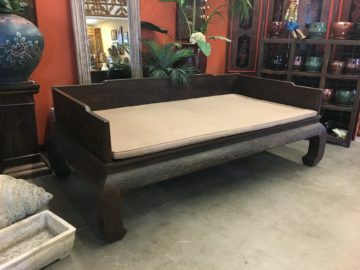 They are fired at high temperatures, which allows them to become very hard and durable, and they are easy to clean and care for. 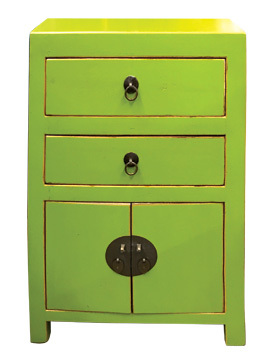 We have many sizes, styles and colors to choose from, so come on in to find your perfect piece! 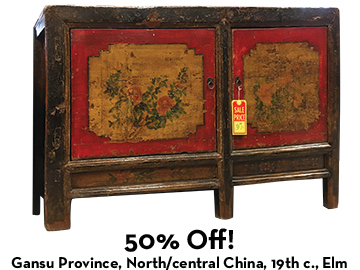 Come in and take advantage of this great opportunity to own rare authentic pieces at a tremendous savings! 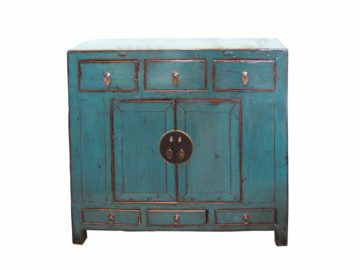 30%-60% off exquisite home furnishings. 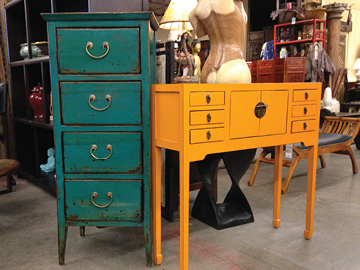 Start the New Year in style with a house makeover! 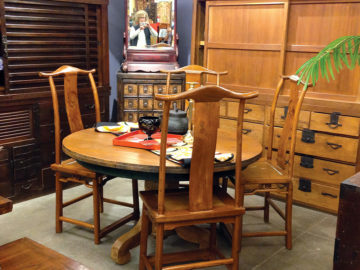 We’re having a furniture sale, now through Sunday, January 15th. 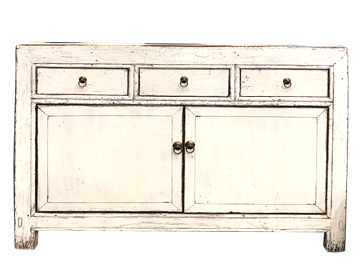 Select furniture pieces will be up to 60% OFF! 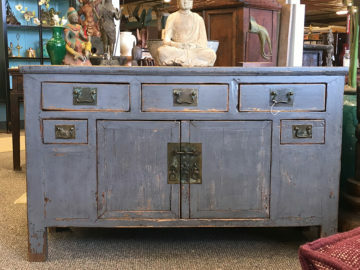 Come in now for the best selection of unique pieces. 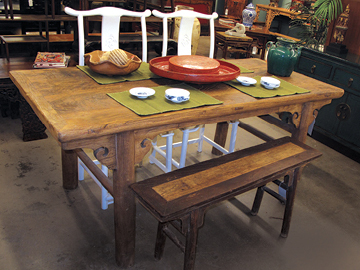 We have a huge selection of both antique and contemporary styles. 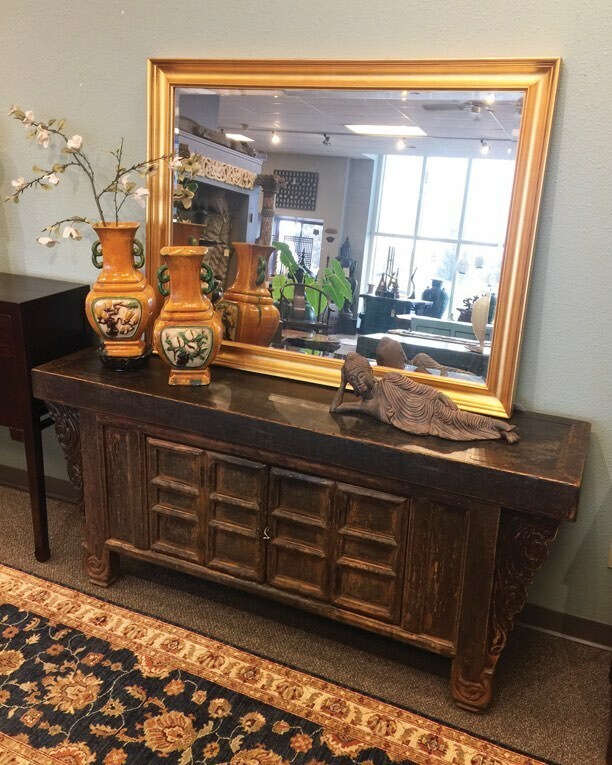 With over 10,000 square feet to browse, we know you’ll find something you love. 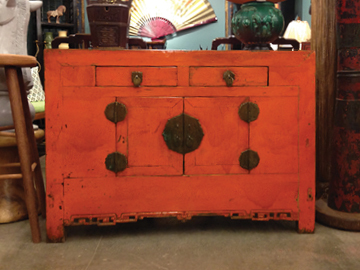 Our Most Colorful Shipment Ever! 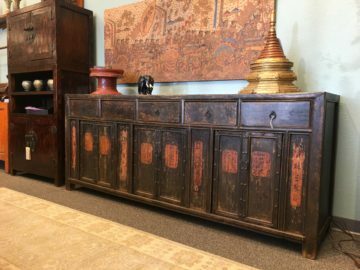 Our latest shipment of furniture is a combination of rare antique pieces, antique pieces that have been re-lacquered to give them a contemporary look, and contemporary pieces. 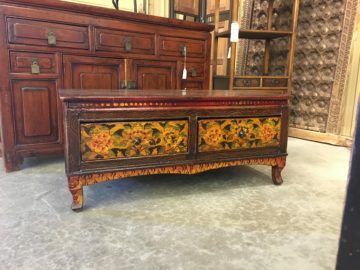 Come in now to get the best selection! 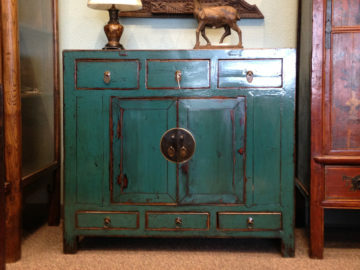 We have a brand new shipment of colorful cabinets and sideboards that just arrived! 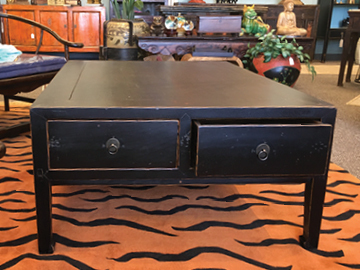 Come pick your piece while you have a good selection. 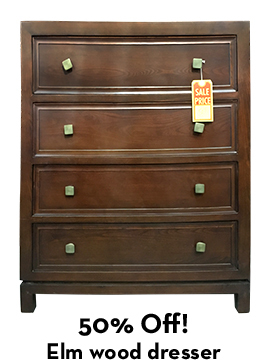 For a limited time we are having a 30% off sale on all furniture. 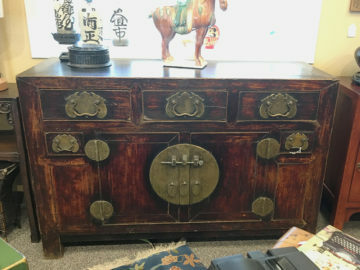 We need to make room for a new shipment coming in around Christmas. 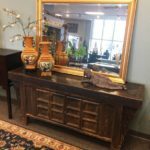 Don’t miss out on this great chance to spruce up your home for the holidays with a new sideboard, or a dining table and chairs. 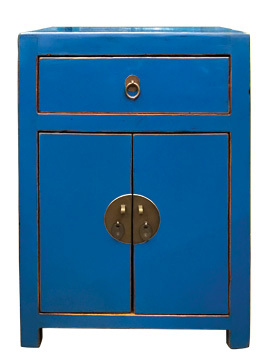 We also have a great selection of cabinets in many sizes and styles for all the rooms in your home. 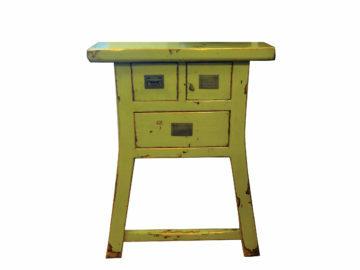 Come visit us soon while the selection is still great and give your home a gift for the holidays! 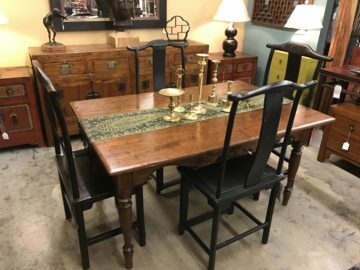 As this unusually warm autumn becomes cooler and the holidays approach, our thoughts naturally turn to hosting family and friends for abundant Thanksgiving dinners and festive holiday parties. 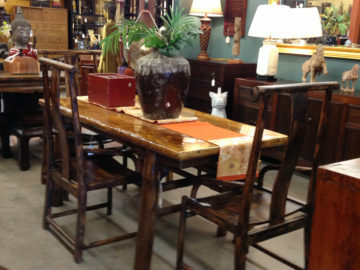 Does your dining room beg for a beautiful, new dining table to delight your guests this Thanksgiving? 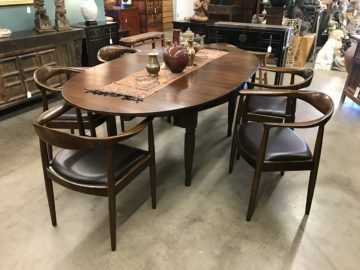 Come see the great selection of dining room tables and chairs we offer – the quality craftsmanship and unique styles of our imported furniture will uplift your whole dining room! 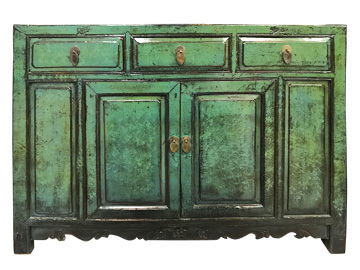 Many of our unusual, imported cabinets can enhance your entertaining by serving as sideboards, covered with delicious food for your guests, while adding that special touch to the party. 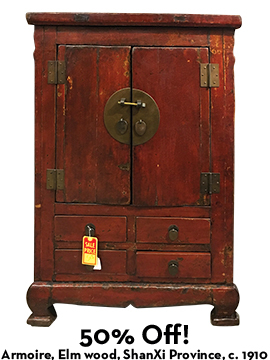 Come by our huge warehouse to browse the choices, including new arrivals from our most recent shipment. 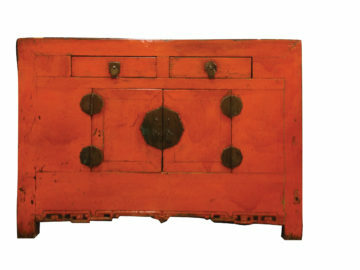 Below are a few interesting cabinets now in stock which could serve as wonderful sideboards and enhance your next party! 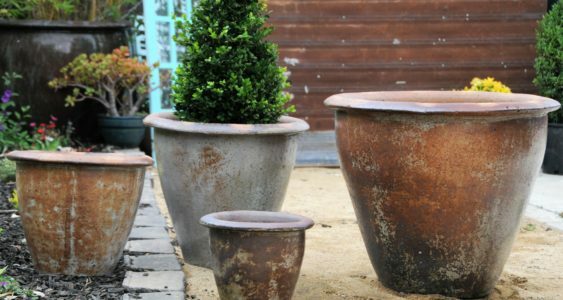 50% Off Frostproof Pots and Stone Statuary! 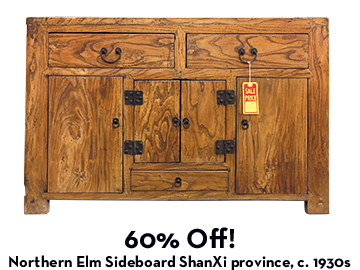 We’re having a seasonal clearance sale! 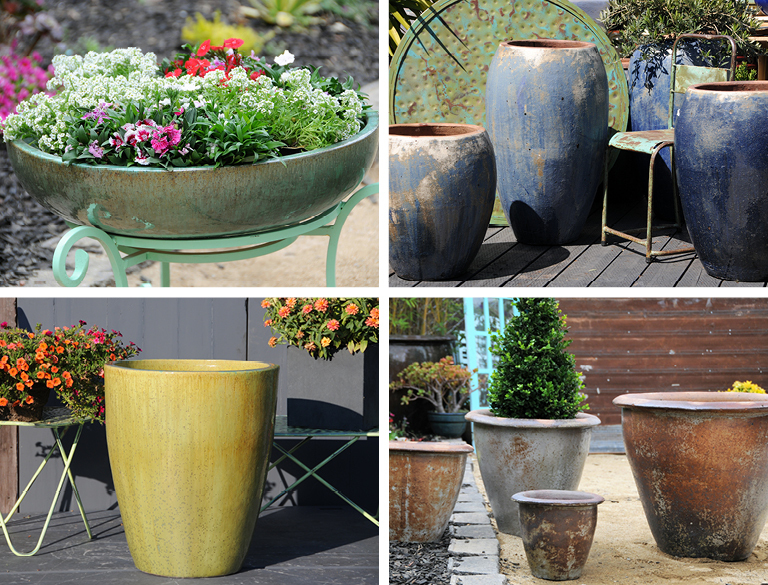 50% off frostproof pots and stone statuary, only through the end of the month. 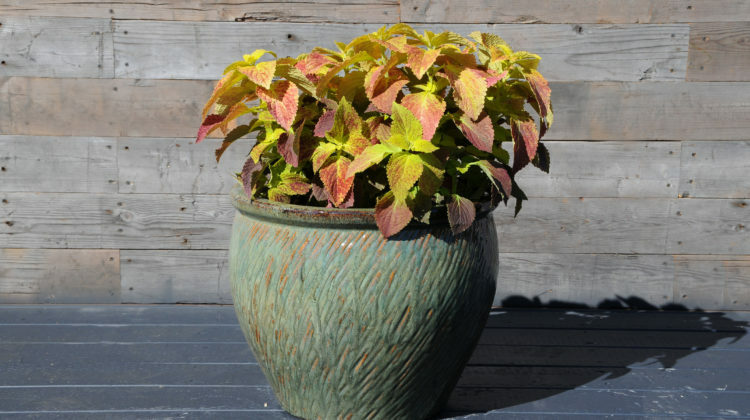 We have beautiful frostproof pots provide color for your garden year round. 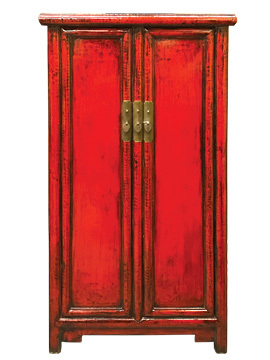 Fill with fall foliage or winter greenery, on your patio or front stoop. They’re not just for summer! 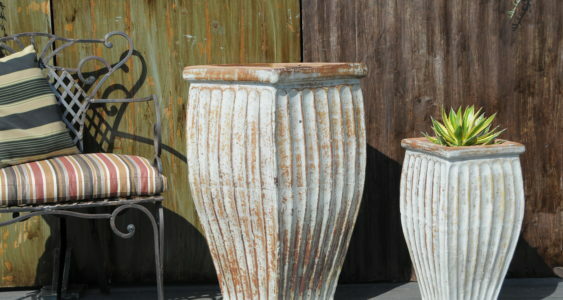 We have stone statuary both big and small, they add unique style to your garden year round. 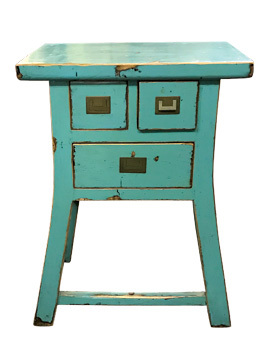 Join our Email List to receive notices of sales, new shipments and special offers!